I'm going to dive right in. She is napping now, so let's go. Editor's note: this took me three days to write, hehe. Monday, August 8, Jonathan went back to school. So it was me at the homestead that day; hot and huge, mainly watching TV. I had a doctor's appointment that day, and was told I was dilated 1 cm, 50% effaced. Respectable, I guess, but no baby on Monday. Monday night we had pizza with my brother Scott. Every night for that past week at dinner, we'd been all "wouldn't it be funny if [dinner item] was the food that put you into labor?" Well, Sunday night and Monday night we had pizza for dinner (Sunday night w/Uncle T-Bone and Dave & Beth). So... pizza? Tuesday at 4 a.m. I woke up with contractions. I'd had some Braxton Hicks contractions over the weekend, like maybe 4 of them, but that had been it. When they (the contractions) woke me up, I was just like, "Oh, THAT'S a contraction!" I guess it's one of those things you just can't really describe until you feel it? Anyway. So Jonathan and I lay there for about an hour, timing them, and talking. They were about 7 minutes apart at that point, and about 30 seconds long. After a while, we did the obvious things: both took showers, made sure we had everything in our bags, and googled famous August 9th birthdays (main ones were Whitney Houston, Deion Sanders, and PL Travers who wrote Mary Poppins, in case you were wondering). At 8:45 am or so, we called my dr. to see what we should do. I wasn't really in pain, but the contractions were definitely regular and slightly uncomfortable. I knew it probably wasn't time to go to the hospital just yet, but wanted to see what she'd say. She said to go ahead and come in and see if I had dilated anymore than at my appointment the day before. Nope. Still 1 cm. The doctor said it'd probably be a good idea to go home, walk around, and try to get labor going at home as long as possible. 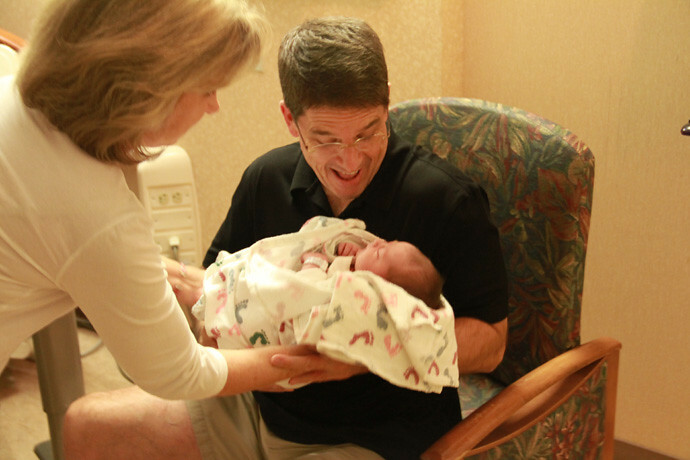 She said to go to the hospital when the contractions were 5 minutes apart and a minute long. I was DETERMINED with a capital D not to get sent home from the hospital, by the way. Once we go, we stay until we have a baby. So, we go home, I walk around the block several times (it's hotttt), took another shower, and even did some lunges (in the loosest sense of the word) across our living room. Still, I'm having regular contractions about 5-7 minutes apart, around 30 seconds long. And they're not getting any longer or more intense. But they're uncomfortable enough that I can't really nap. Jonathan and I took a longer walk around 9 p.m., maybe for 30 minutes or so. During the walk, the contractions start hurting more (5 mins apart), but they're still around 30 seconds long. We get home and he gets in bed and I start watching Friday Night Lights for a little while. By the time we get to the hospital and back into the triage area, I am in some good pain. The nurse comes in to check me... 1.5 cm. HECK NO there is no way I am going home... "Please don't send me home," I tell her. She tells me my blood pressure is crazy-high, like through the roof (which had not been the case the entire pregnancy, as recently as my dr. visit that Monday), so that's what will keep me there. I thank God that my blood pressure happened to be high so I could stay at the hospital where the drugs are. She runs an IV line and gives me some pain medication (that did nothing but make me sleepy and my limbs dead-like...didn't really soften the blow of the contractions at all). The triage nurse tells me the toxemia test came back negative, but can see I'm in too much pain to go anywhere and that I'd be admitted. 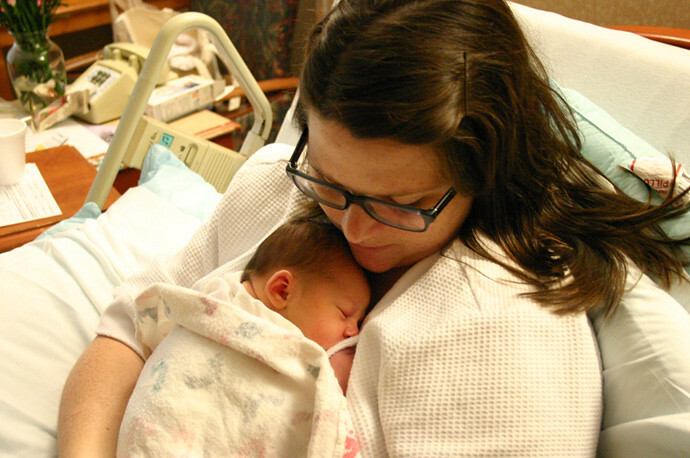 We finally got into our labor & delivery room around 6 a.m. and I was READY for that epidural. Thankfully, we only had to wait 30 minutes for the Magic Man/CRNA, Kevin (I think I will always remember his name), to come and do his thing. People have asked me if the epidural needle hurt. NO. Heck no! It paled in comparison to the pain I was already in. In fact, nothing that happened to me at the hospital hurt as badly as those contractions. The IV line in my hand? Nope. Needles? Nope. Delivering the baby? Nope. But we'll get to that. My doctor comes to see me around 9:30 a.m. or so and I'm dilated even more (can't remember how much at this point). She says she has a dentist appointment at 11 (Wednesdays are her day off), but that she'd check me before and then as soon as she got back. We had the best nurse ever, Sarah. Jonathan goes to school with her husband, but we'd not met her before. Her sweet, comforting attitude made ALL the difference in my labor experience. Especially when I got sick several times after the epidural and felt so gross and nauseated...she just helped me get cleaned up with a sympathetic smile on her face and said some comforting words. She was such a blessing. At 10:45 a.m. when my doctor came back, I was 7-8 cm. And feeling nothing (hallelujah!) except yucky heartburn (which didn't go away until after delivery, btw). Martha and Jonathan would look at the machine and say, "Oh, you're in the middle of a big contraction right now." I'd say, "Awesome. Can't tell!" In the next forty minutes, we had some time to try to digest (as much as possible) what was about to happen. A HUMAN BEING was about to come out of my belly, that would be our CHILD! So crazy! We prayed for her and her health and my health and thanked God for the safety He'd bestowed on our family thus far. Right around 1 p.m., I started pushing. It was hard work, but it didn't really hurt, if that makes sense. The "pressure" people talk about, that you feel during delivery, did not hurt me. I just felt it. 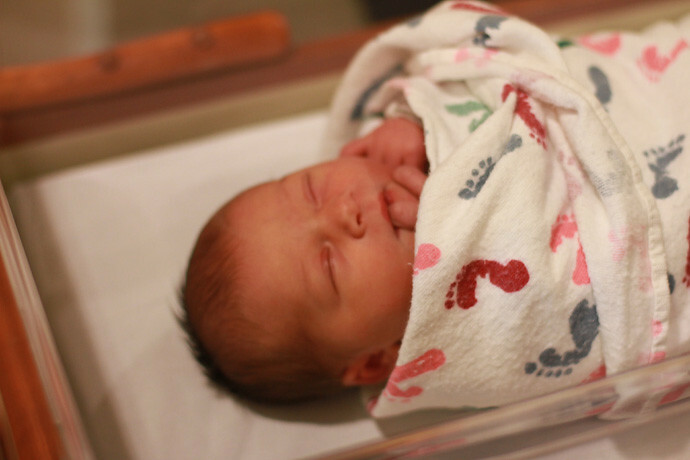 At 1:23 p.m. on Wednesday, August 10 (yes, many many hours after labor's commencement...more than 33 if you're good at math), Juliette Taylor entered the world. They placed her on my chest, and I was instantly in love. That little face, her beautiful dark blue eyes, full head of hair, had us from the get-go. 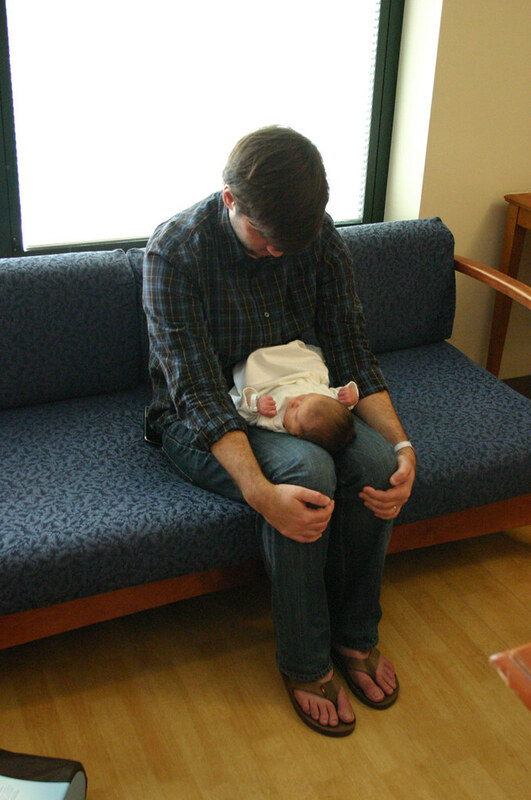 It was a little over an hour before our families could come back and meet her, so Jonathan texted a photo and a little video of her out to the waiting room. 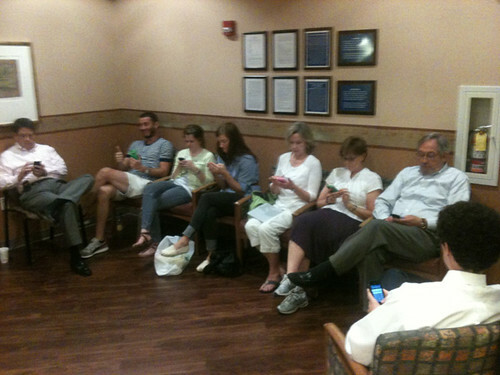 Here they all are on their phones, making it viral. Here's my little cutie today, home with her mommy during her nap, in what we call her "muscle pose"
Obsessed with all those pics, esp the third one. She is such a doll! Love all the pictures, especially the one of Steve with her for the first time! She is a cutie. Thanks for sharing pictures of her. 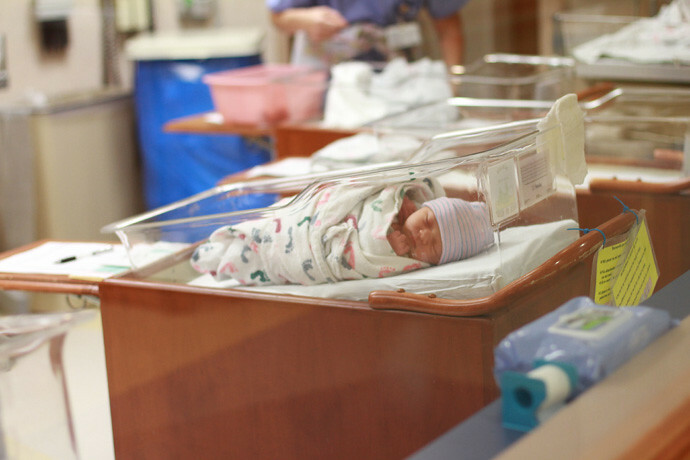 I think you will be thankful to have written this birth story down. I have read mine several times over the past 2+ years and it always brings me right back to that day. I love that picture of your dad with Juliette. Awesome. sooooooo happy you posted this--thank you!!!! 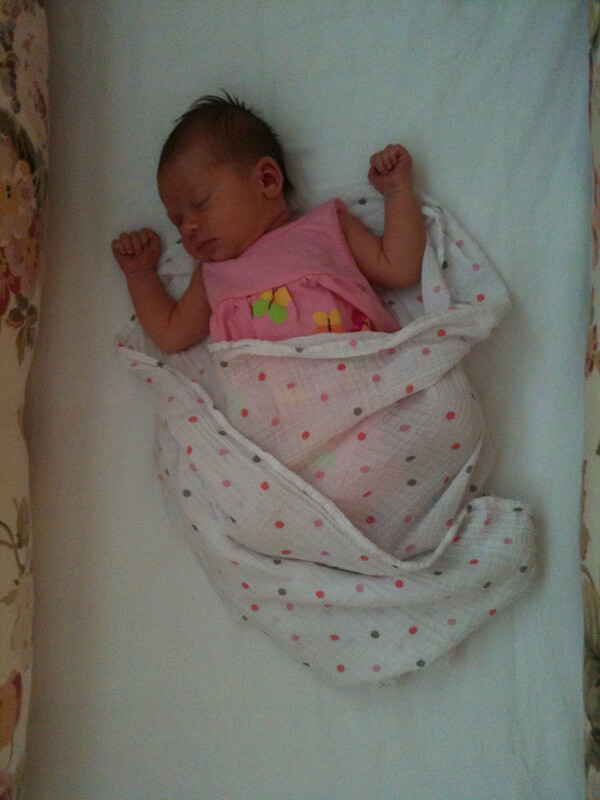 She's too adorable for words, and I can't wait to meet her! You look lovely, obvi. Love you! Love that sweet Juliette! Can't wait to hold her again. So glad I got the whole story and my epidural made me sick too but I didn't care. hooray hooray hooray hooray! she will know how hard you worked for her :) so happy that everyone is healthy and safe. she is a beautiful burrito bundle, and so well loved!